When completing projects around the building site, workplace or home, sometimes you need to reach higher than a ladder will go. Consider hiring a cherry picker, or scissor lift for those extra high jobs. Cherry pickers, boom lifts or EWP (elevated work platforms) are very handy when pruning large trees, roofing, guttering, painting and other building and maintenance jobs, especially when working with multi story buildings. They are much faster and easier to work with than scaffolding. A truck mount cherry picker is easy to get to the work site, has everything on the truck ready to go, and can be moved easily around the work site. Extending to a working height of 20m will ensure all of your high projects can be completed easily. Safety is important when working with heights. The cherry picker you hire should be regularly checked to meet workplace occupational safety standards. Every 3 months is ideal. You will also need additional safety equipment, such as safety harnesses, witches hats, and safety signs. Any Cherry Picker that has a capacity over 11m requires a fully certified operator to manage the machine under all circumstances. 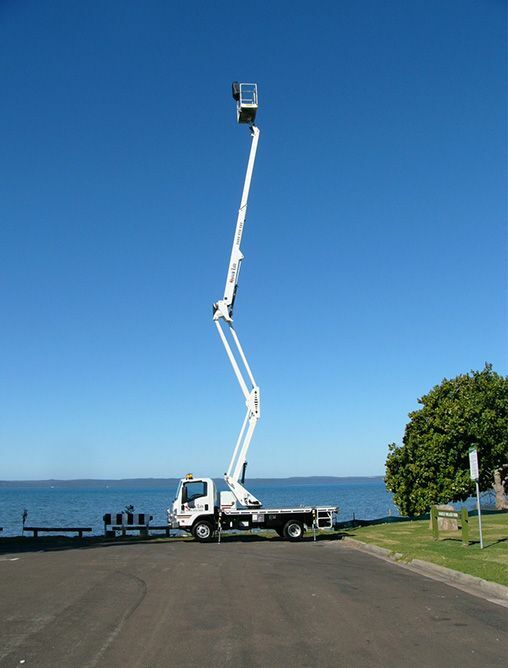 Kyle from Pipes Plumbing, a Brisbane plumber always uses Quicklift Cherry Picker Hire Brisbane for their EWP jobs.